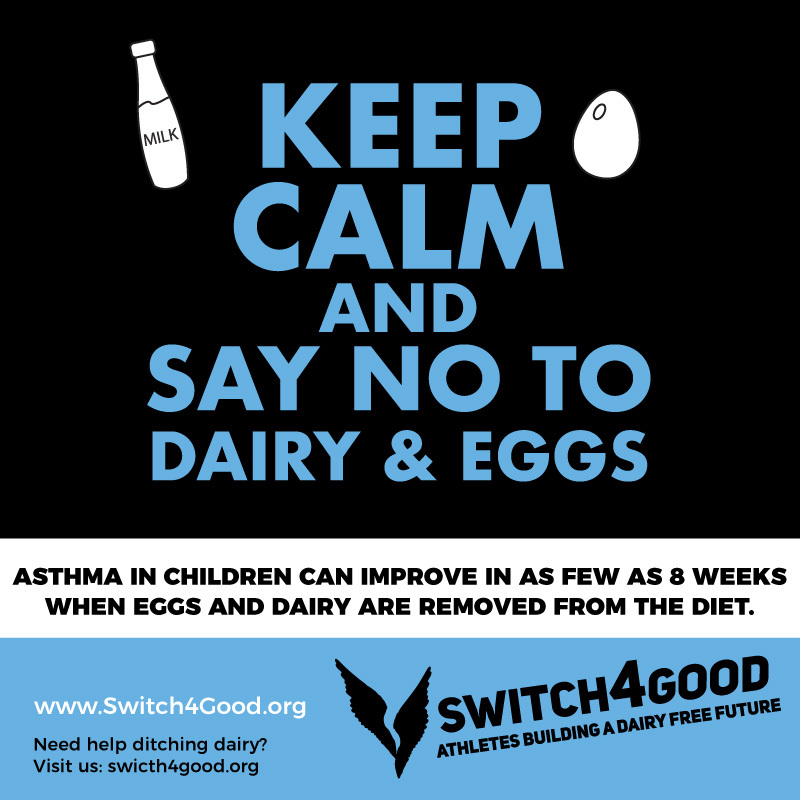 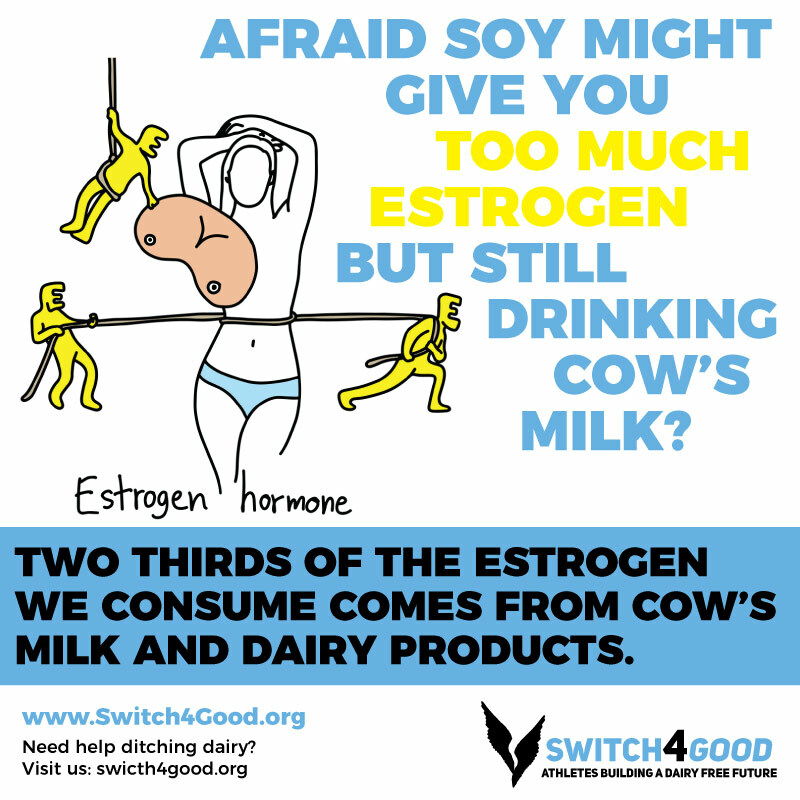 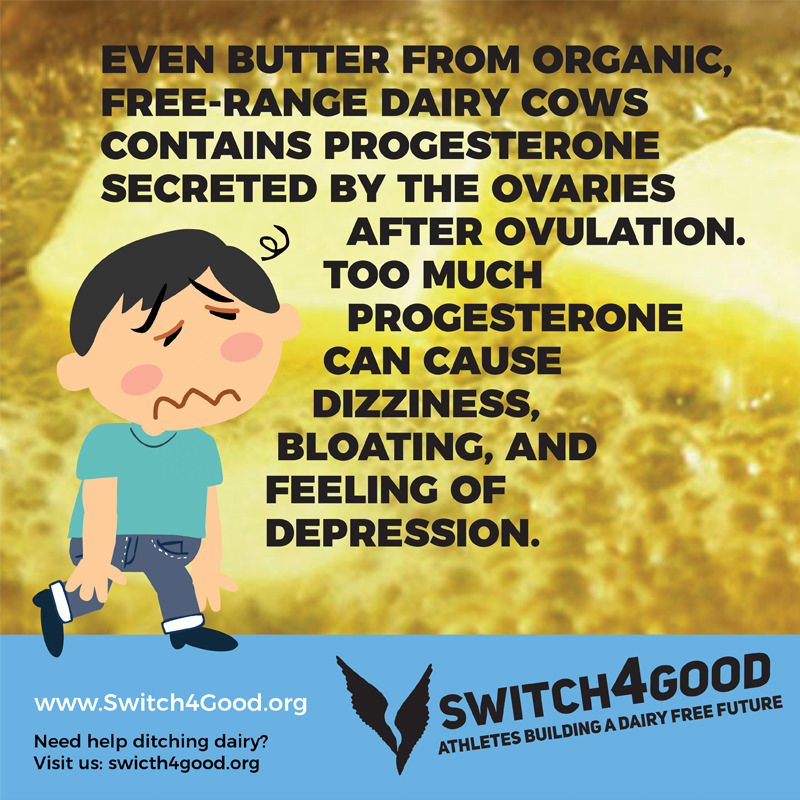 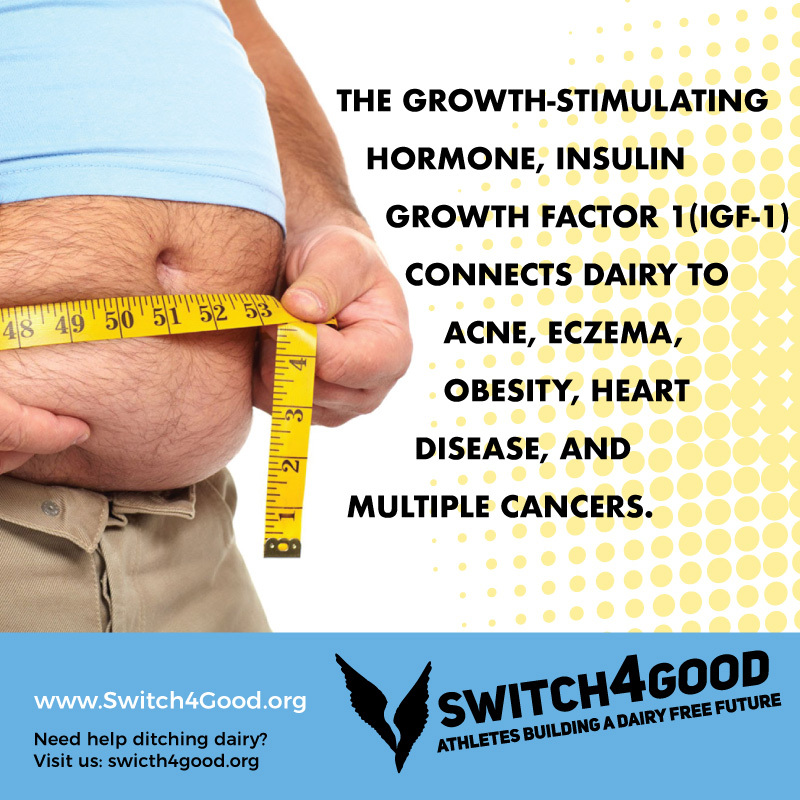 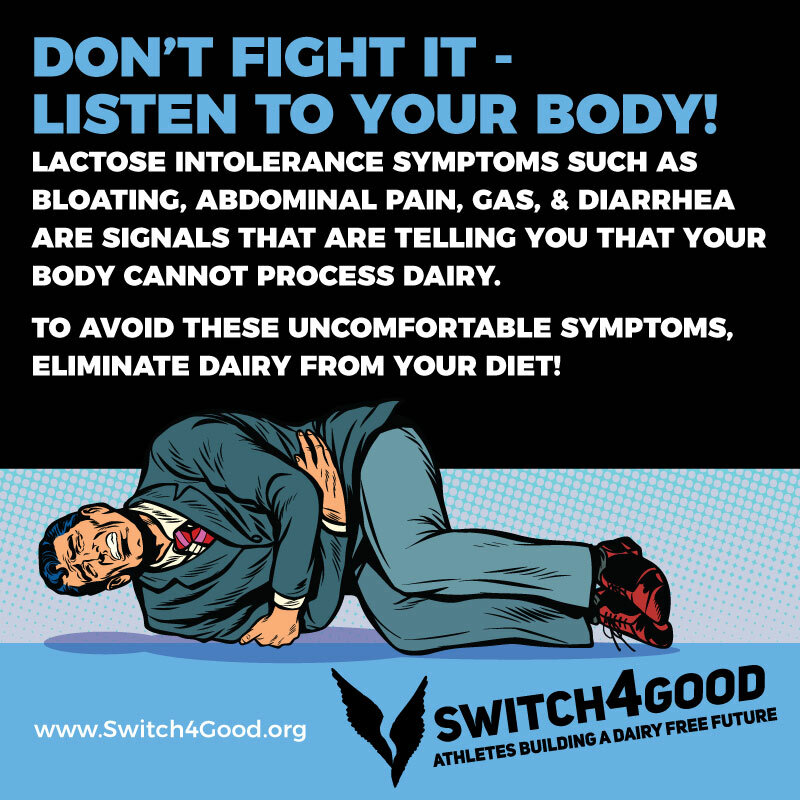 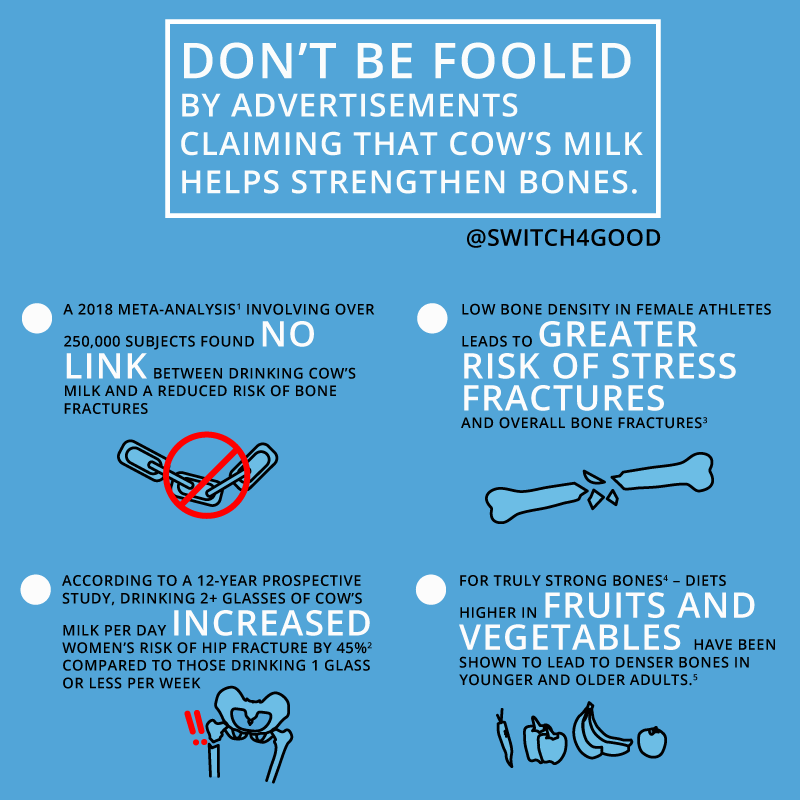 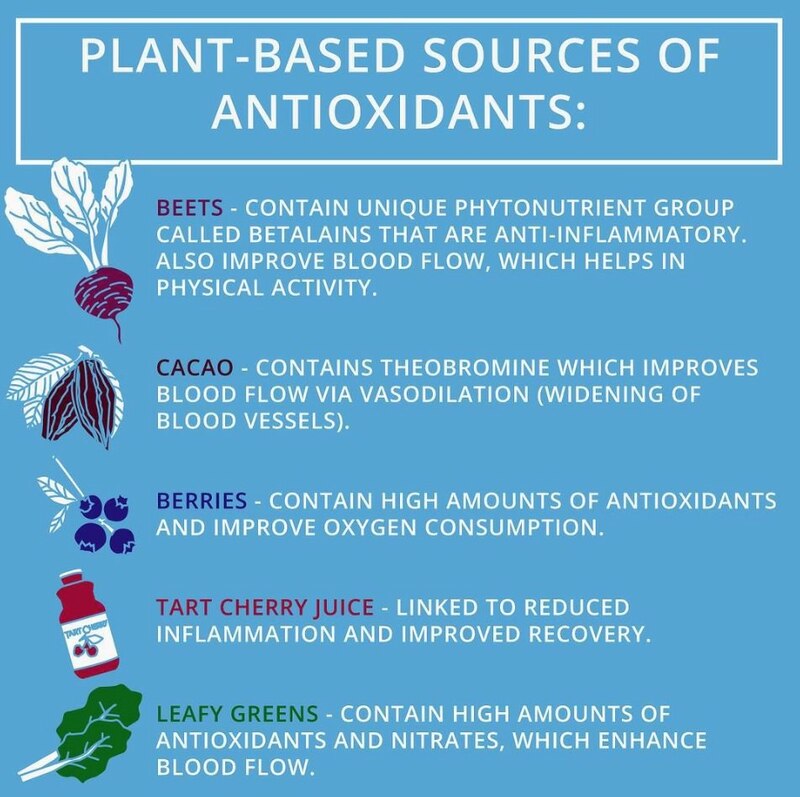 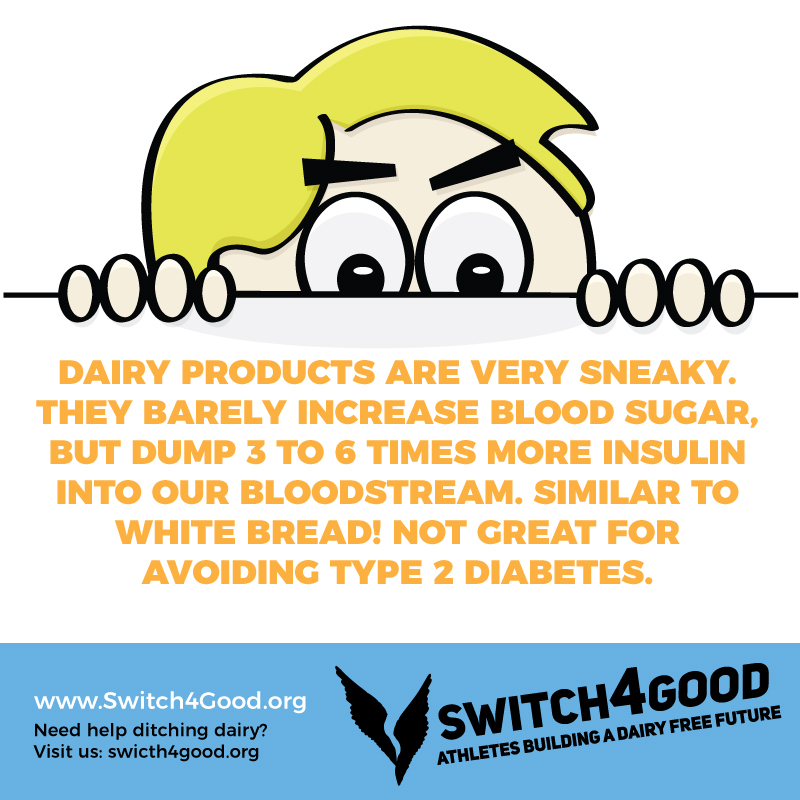 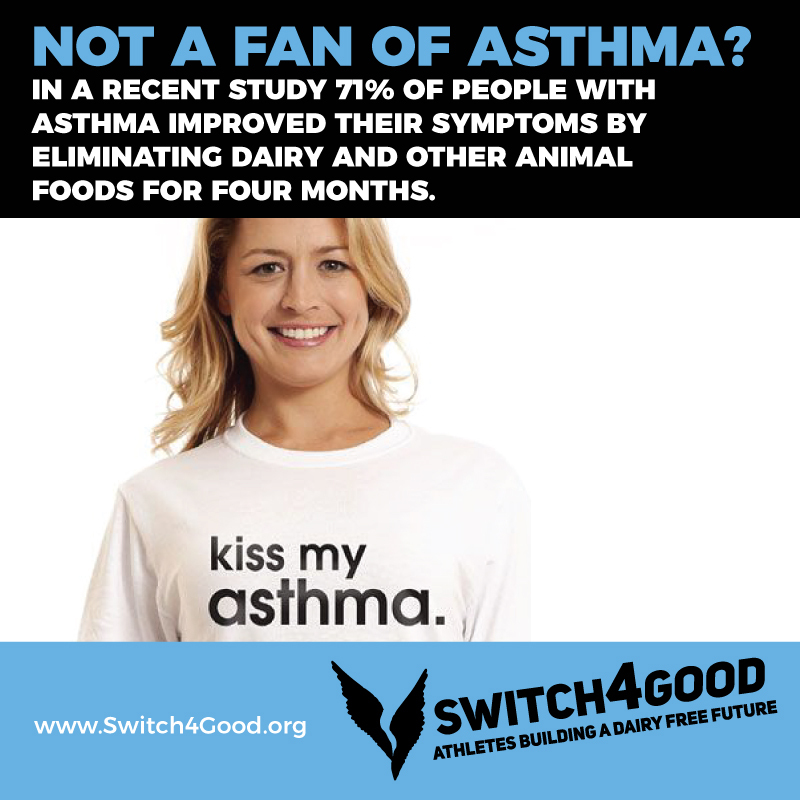 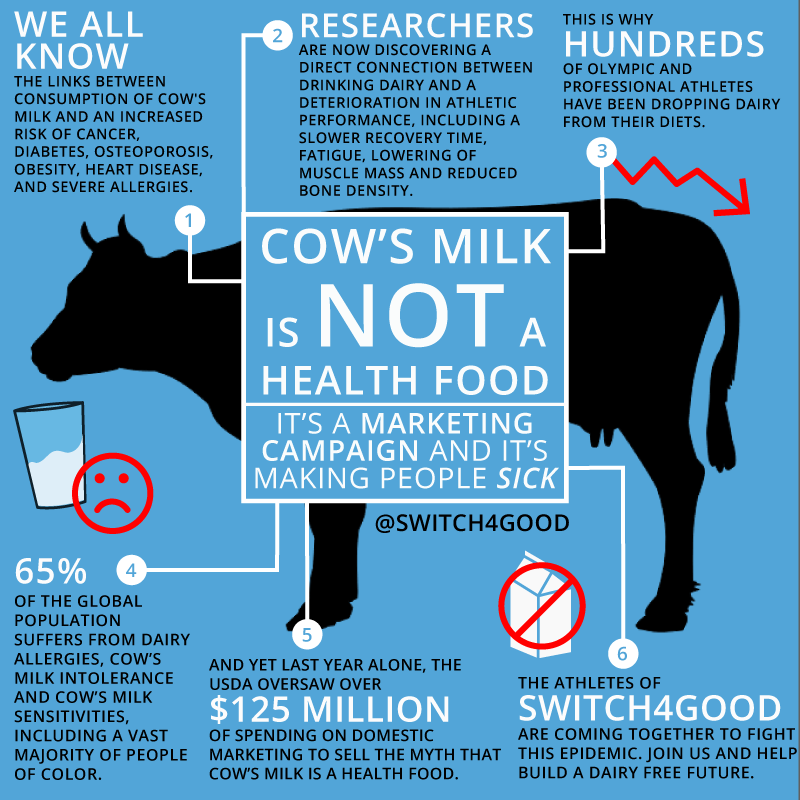 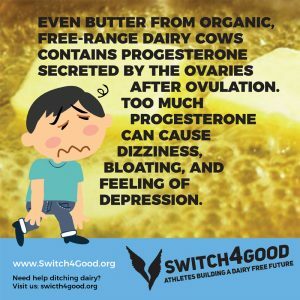 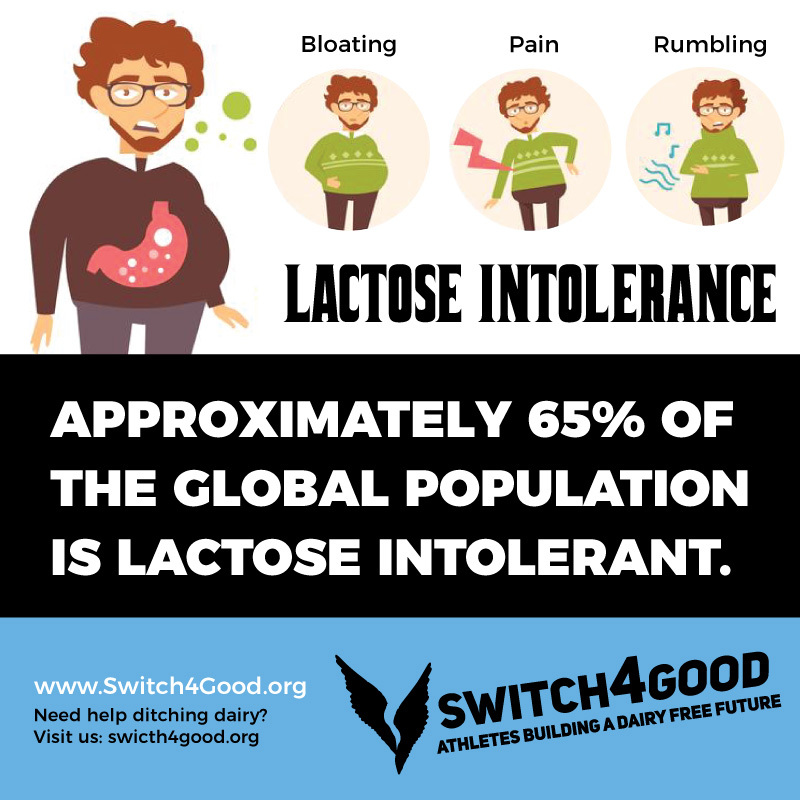 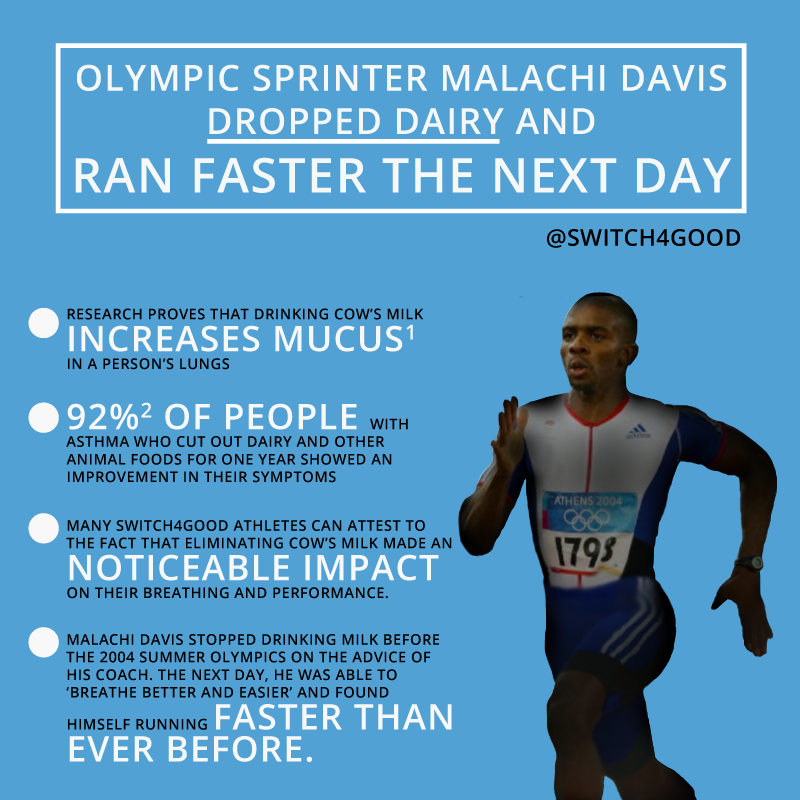 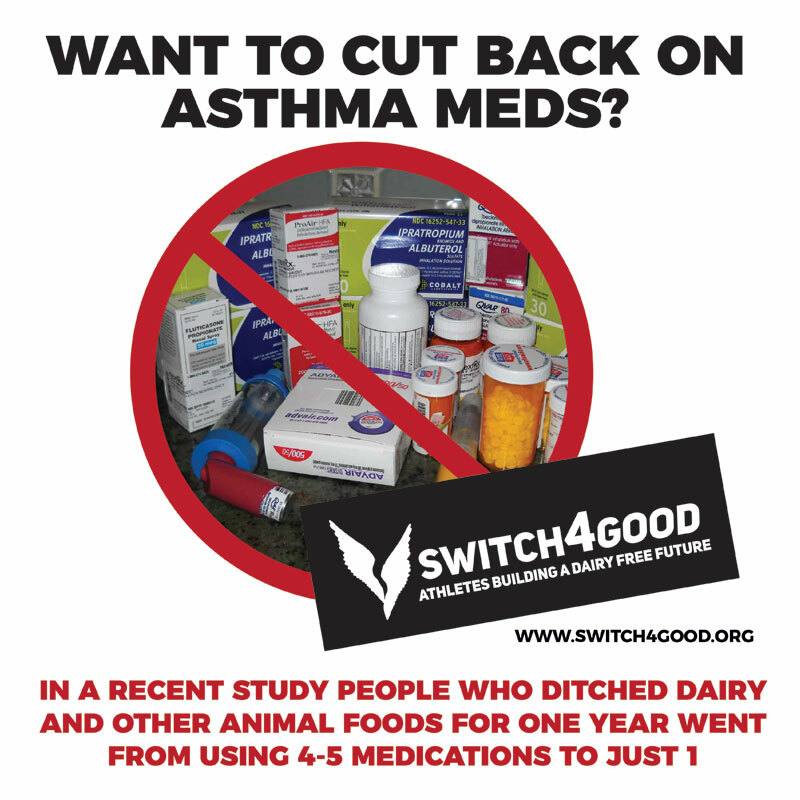 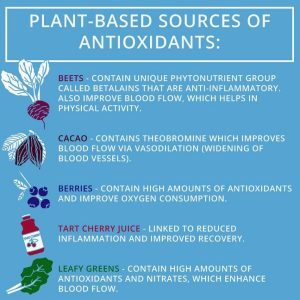 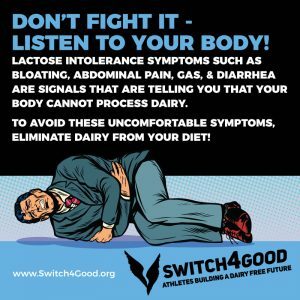 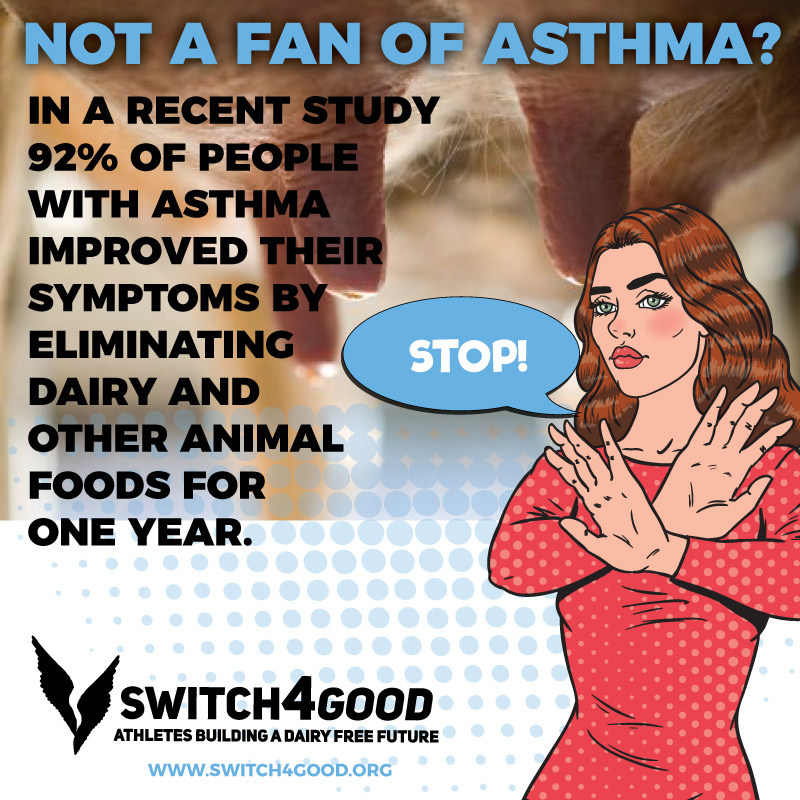 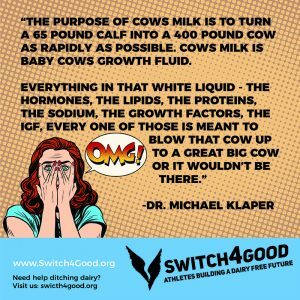 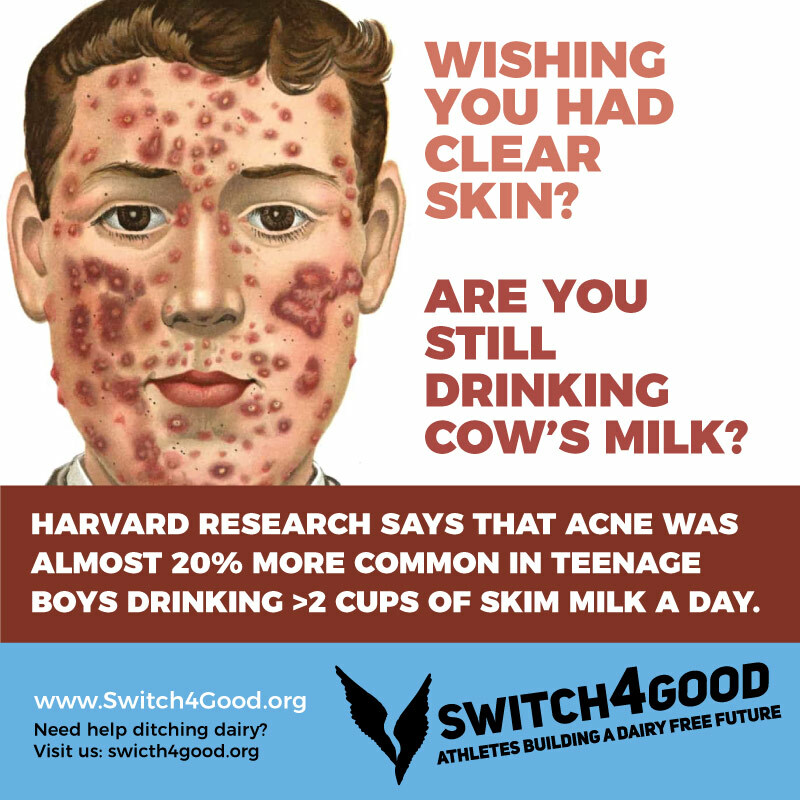 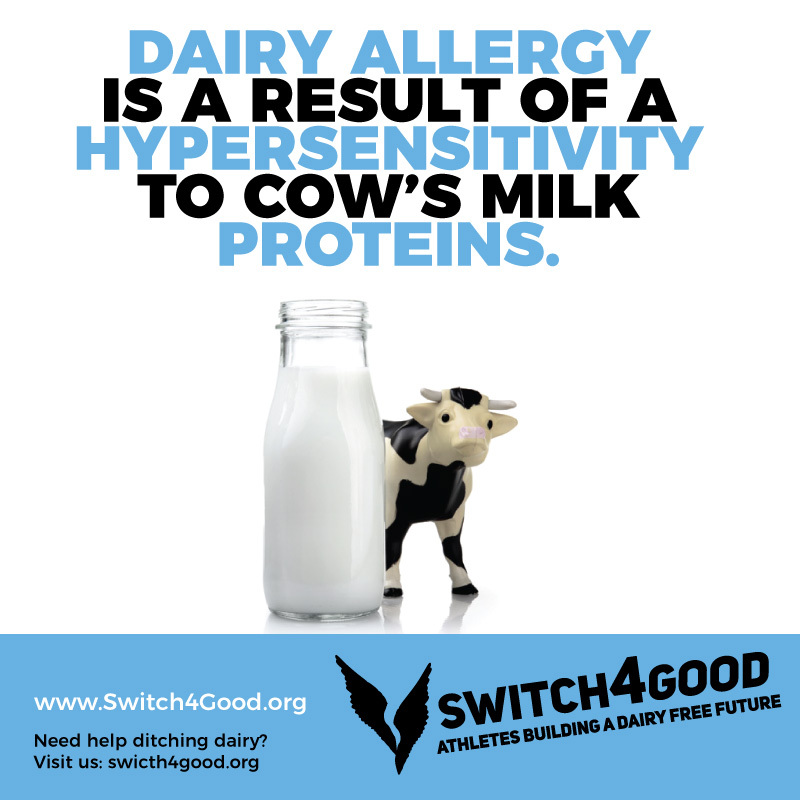 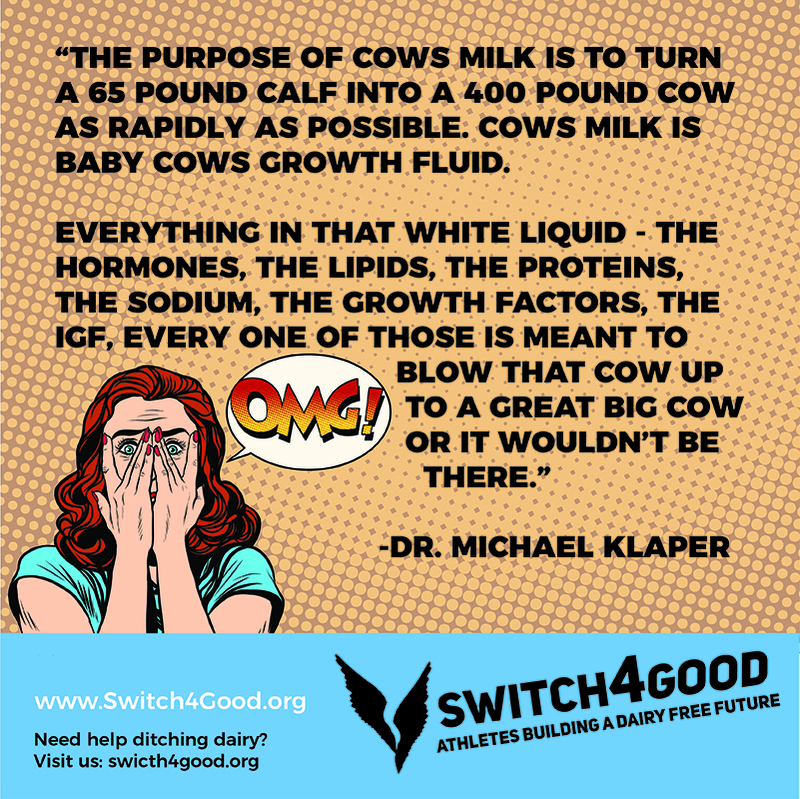 Now that you have discovered your inner athlete and are ready to take steps toward switching from dairy for good, help spread the message! 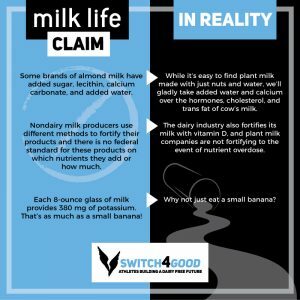 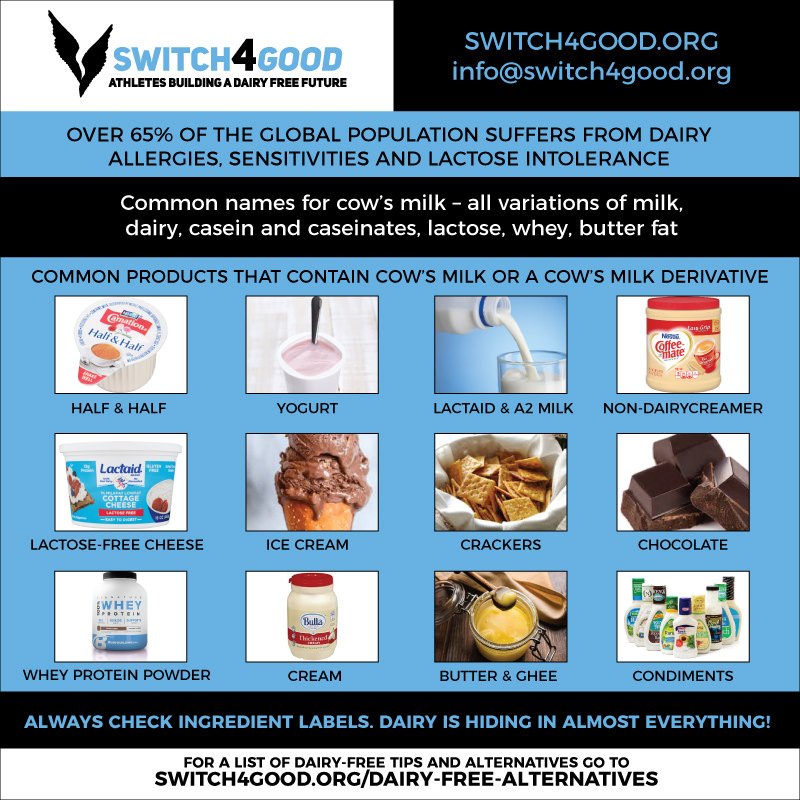 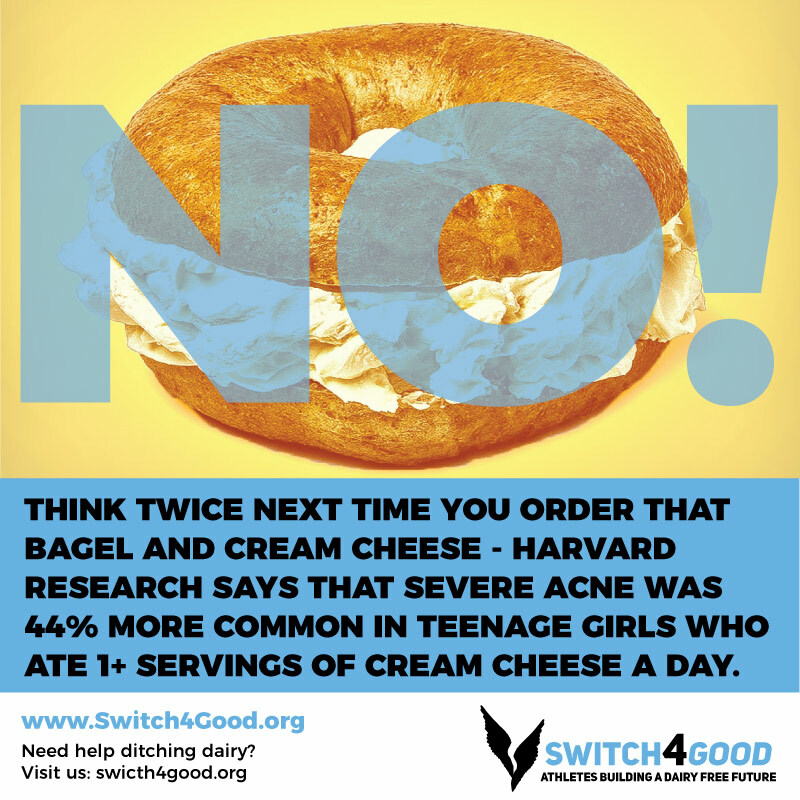 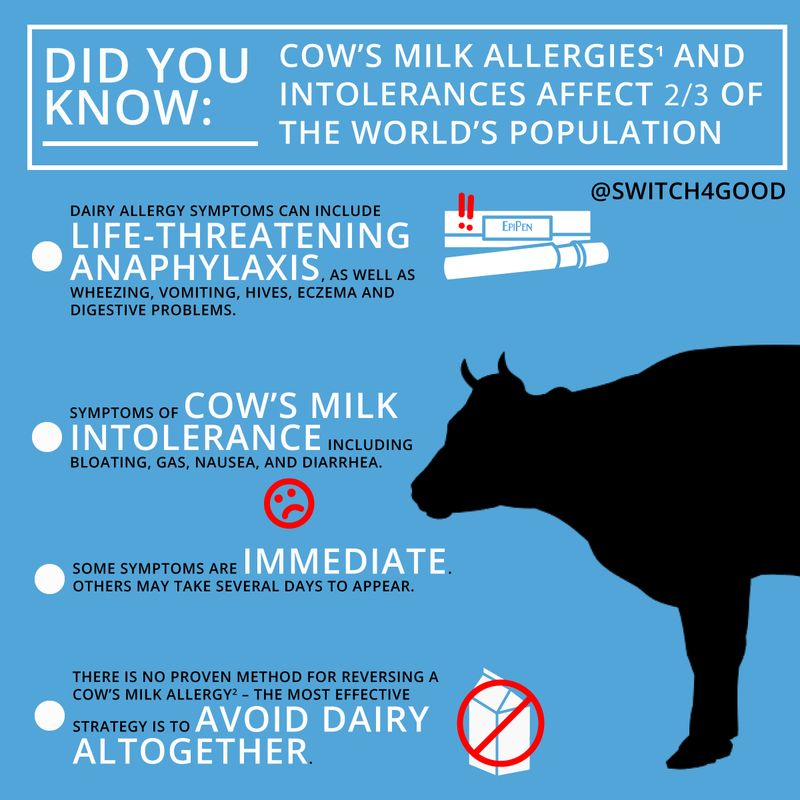 Below are answers about the dangers of dairy that can easily be shared on any social media platform with just a click of a button. 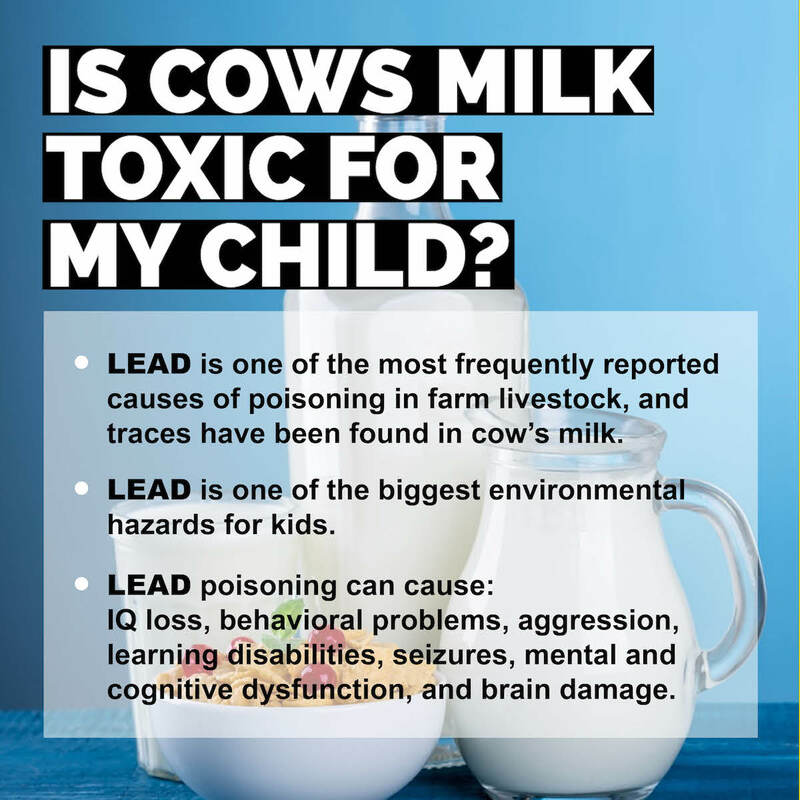 Simply click the meme or info-graphic you wish to share on your social media and it will automatically download to your computer’s download folder! 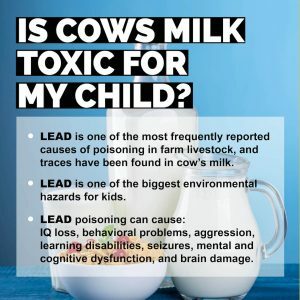 Then you are ready to post away. 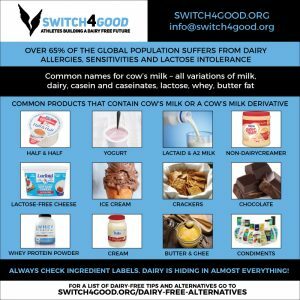 Don’t see all the answers to your questions? 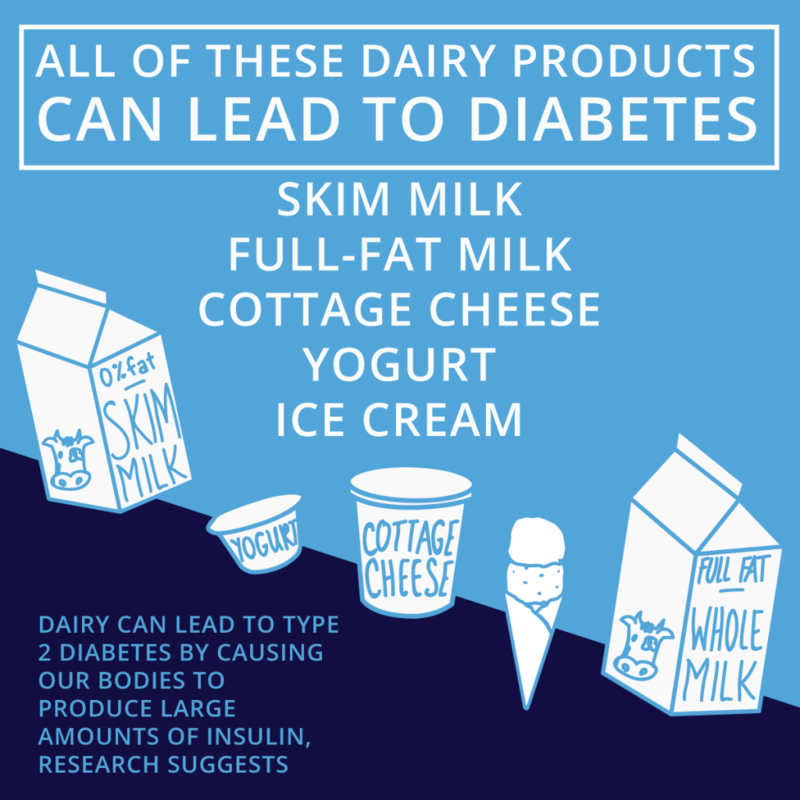 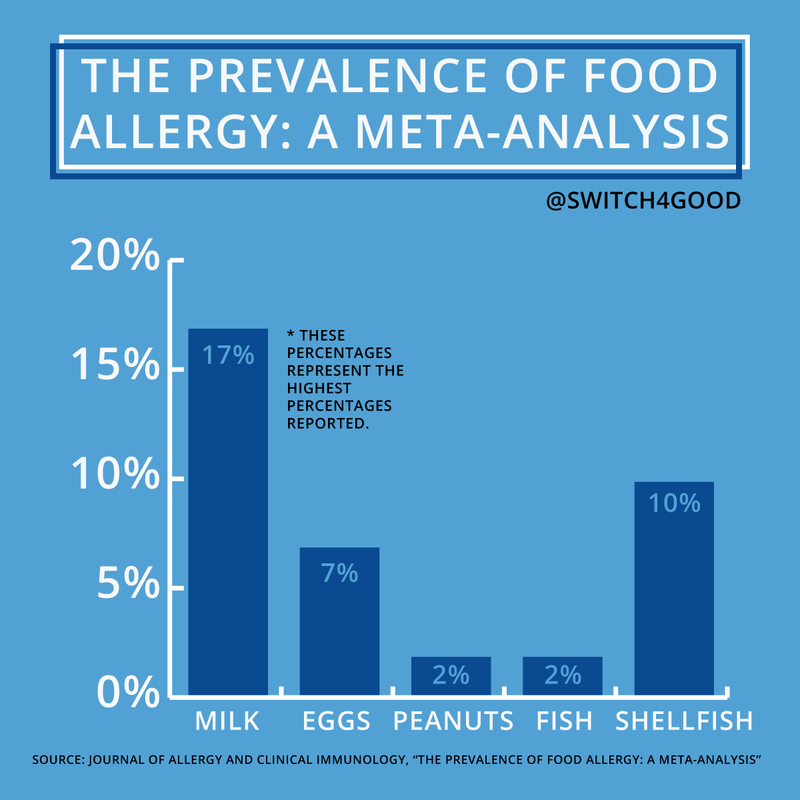 Fill out this form to ask a doctor anything dairy related.